Like its biblical namesake, the Chilcotin Ark is an ecological sanctuary with ten of BC's fourteen biogeoclimatic zones occurring here. It encompasses a spectrum of ecosystems from rainforest to grassland to high mountain peak and is home to exceptional populations of woodland caribou, California bighorn sheep, grizzly and black bears, cougars, and wolves. Given this, the Ark is clearly an extraordinary natural legacy. The area stretches from the volcanic Itcha-Ilgachuz Mountains in the northwest to the 600 metre (2,000') deep Fraser Canyon in the east. The dramatic Coast Ranges within Tweedsmuir Park form its western boundary. Eastward across the Chilcotin Mountains, the Ark traverses a procession of splendid landscapes: the lake-studded Alplands; the low-elevation old growth forests of the Klinaklini and Homathko Valleys; the long turquoise lakes of Tatlayoko, Chilko, and Taseko; the extensive meadows and rolling alpine of Big Creek/Spruce Lake; to the semi-desert country of the Fraser River. Although it adjoins the Great Bear Rainforest on BC's Midcoast, the conservation values of the Chilcotin Ark are little known, even to British Columbians. As a result, more than half of the Chilcotin Ark is today at imminent risk from logging, intensive road building, and mining. 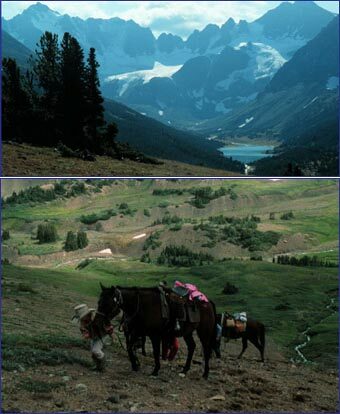 However, BC Spaces for Nature has been leading a highly successful campaign to complete protection of the Chilcotin Ark. However, in contrast to past high-profile public campaigns, our work here has been in a low-profile and persistent fashion over the past 15 years.